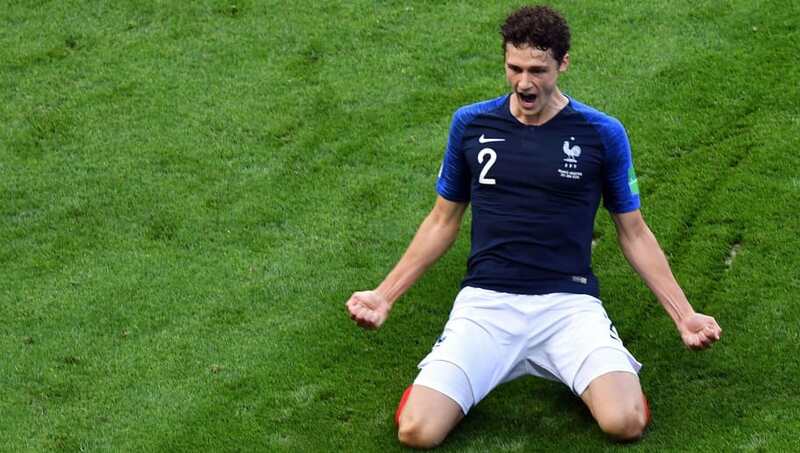 ​Stuttgart have insisted that starlet Benjamin Pavard will not be sold this summer, following the French full back's star turn at this summer's World Cup for his country in Russia. The German club's sporting director Michael Reschke told ​Stuttgarter Nachrichten Die Roten are not interested in selling their prized asset this summer, as a number of ​Premier league clubs circle for the defender's services. In a quote translated by the ​Metro, Reschke said: "We will definitely not sell Benjamin Pavard this year for €50m. We will do everything to ensure that he plays with us for another year." Earlier this year, ​Tottenham Hotspur were linked with a move by ​The Sun with a move also mooted for their North London rivals ​Arsenal. It now seems however, that any move for the player will now need to be significantly increased. Having pushed Djilbril Sidibe out of Les Bleus' starting XI, the 22-year-old has now caught the eye in Russia during this summer's tournament, having largely flown under the radar in the Bundesliga. A French Under-19 and Under-21 player since 2015, Pavard spent ten years with Lille's youth academy from 2005 before being fast-tracked into Les Dogues senior side in 2015 making 21 appearances. Moving to Germany on four-year deal in 2016, the versatile Frenchman was instrumental in Stuttgart's rise up the ​Bundesliga table this past season, going from relegation candidates to finishing narrowly outside the UEFA Europa League qualifications spots in seventh, playing primarily as centre back. Having been a focal point of the French set up from both a defensive and offensive viewpoint, Pavard scored his first international goal for France, as Didier Deschamps' men booked their place in the World Cup quarter finals ​with a win over Argentina on Saturday. With France now firmly in the public eye having reached the latter stages of the tournament, Pavard's stock could rise even further in the coming weeks with a last eight encounter with Uruguay on Friday.